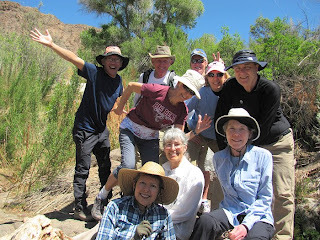 The group at Mule Ears Spring--a desert oasis and a perfect spot to lunch! 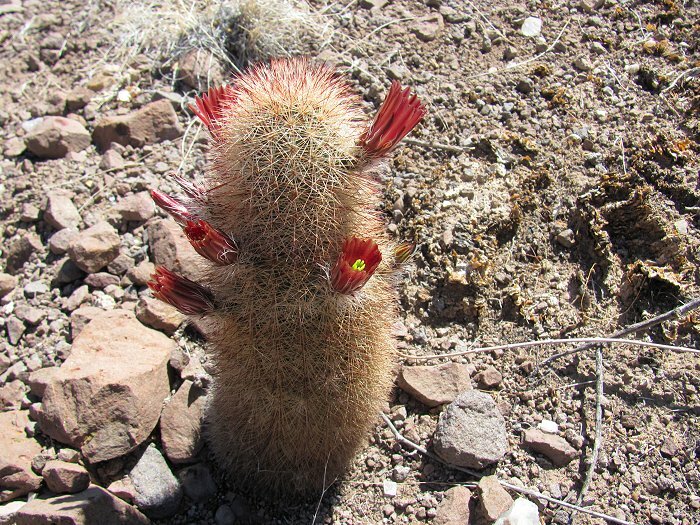 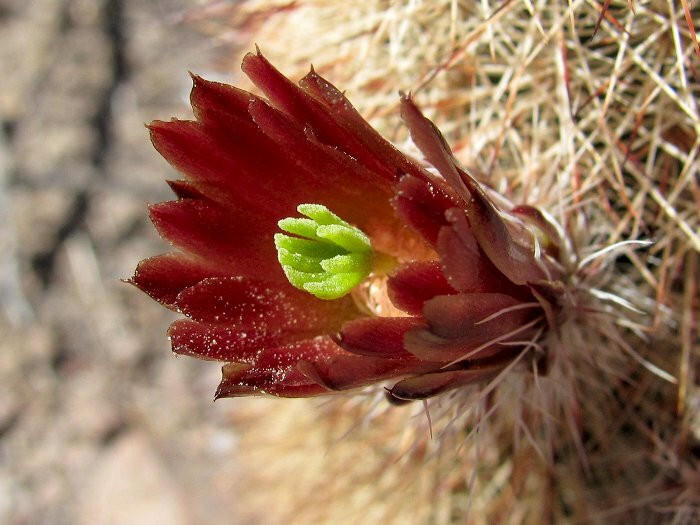 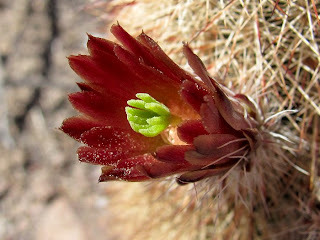 Cactus blossom on the trail to Mule Ears Peaks. 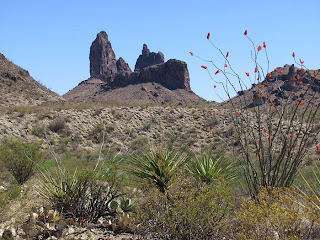 The appropriately named Mule Ears Peaks. We named this little butte "Boot Butte with James Dean." 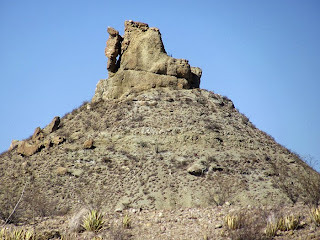 Looks like a hiking boot with James Dean leaning on the heel!